Weekly updates about practice are to be found in our Facebook group. Feel free to contact us if you have any questions or if you would like to attend practice! We are always looking for new players! Send an email to info@aarhuslacrosse.dk and we will figure something out! You can also follow us on Instagram, Facebook and Twitter. 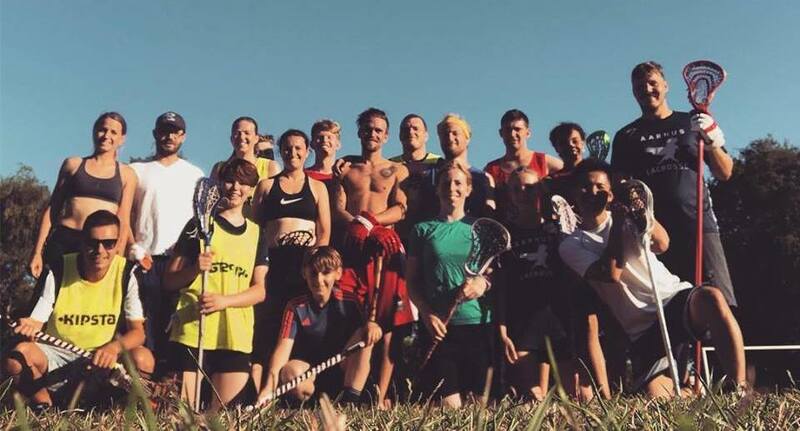 Aarhus Lacrosse is one of two lacrosse clubs in Denmark. The sport is growing slowly but surely thanks to the volunteers that run the board, the training sessions and the social life of the club. The team consists of both women and men from more than six different nations and players aged between 13 and 50 years. Every year Aarhus Lacrosse attends both national and international tournaments and games. We are here to have fun. Everybody get to play. Aarhus Lacrosse is for everyone. No exceptions. We want to expand the knowledge of, and participation in, Lacrosse in Aarhus first and Denmark second. an email (info@aarhuslacrosse.dk) if you have questions or would like to try the sport. Join our Facebook group to get updates about practice times etc. Message us, and we will have a stick ready for you!